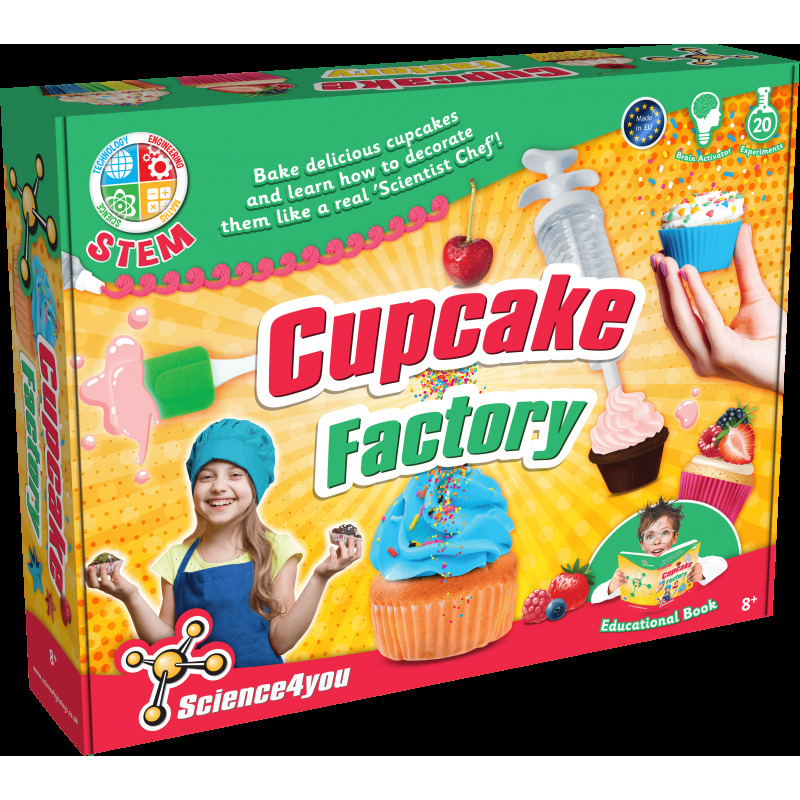 Discover how to bake delicious cupcakes and how to decorate them with the Cupcake Factory of Science4you. 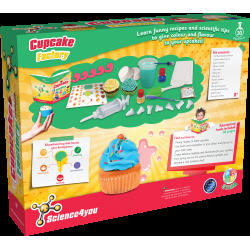 Become a real Scientist Chef and learn how to cook based on fun recipes and scientific tips to give colour and flavour to your cupcakes. Funny recipes to bake cupcakes. How to use fruits and vegetables to give colour and flavour to your little cakes. How to create delicious toppings and decorations for your cupcakes. 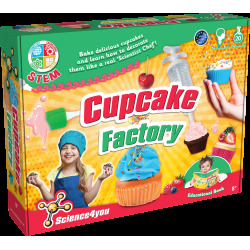 How funny can be the science behind cupcakes. 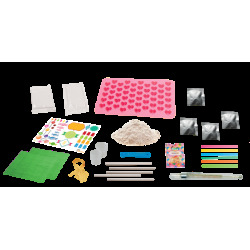 This toy includes up to 20 experiments for kids as well as an educational book with 36 pages.